Parenting today’s generation has become much more difficult and complex. The wave of parenting advice encouraging parents to be a friend to their children to encourage communication was not working. Youth were losing respect for the authority of parents and adults and parents were ambivalent about where to draw the line between excessive freedom and excessive discipline. Research into effective parenting practices, has shown that kids under age 21 still consider parents to be the number one influence in their lives when making decisions. Research pointed out that it was important for parents to “BE THE PARENT” without over reacting to information shared by youth. The PSA series created by the Coalition empowers parents in the voice of our own youth to retain their role as parents and as the guiding influence in their lives even if the kids don’t necessarily show their appreciation for that role. These PSAs aired on Cable TV News 12 and other programming at various times throughout the year during 2012 – 2014. 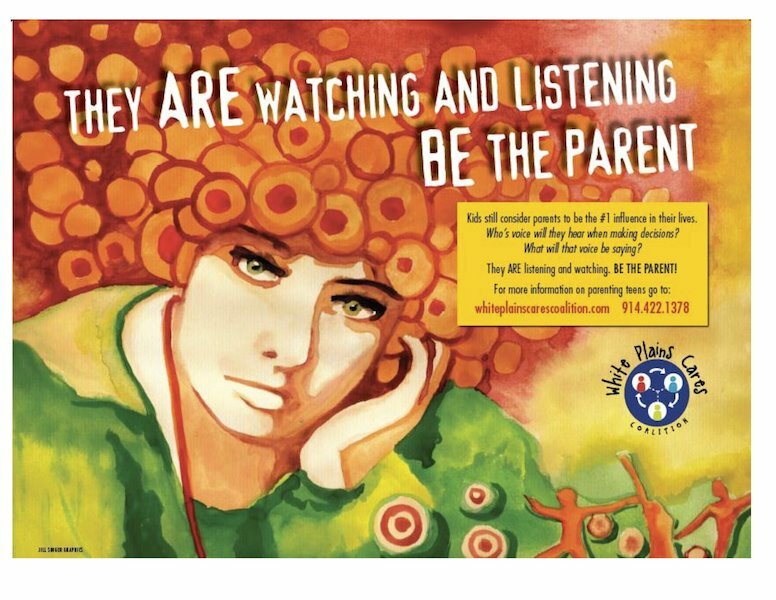 The PSA was also aired on White Plains Cable access TV and was supported by street digital signs, post card mailers, refrigerator magnet reminders, bumper stickers, and community banners that carried the message to parents all across White Plains. Every 15 minutes, a teenager dies from underage drinking or other drug use. Power To The Parent helps Westchester parents learn how to keep teens safe from alcohol and drugs.